So, in what feels like the blink of an eye, my year abroad is done. I’ve sat my final exams, done as much sightseeing as I could in the final week, packed up my room (and given away a lot of stuff – it’s amazing what you accumulate even when you’re trying not to accumulate stuff), said a lot of goodbyes, repeatedly told myself that if I got here I can endure another 24 hour flight across the world, and got myself very excited by the idea of seeing family, friends, and my boyfriend again. My departure date has come around incredibly quickly, mainly because I only finished exams 10 days before I was due to fly and so I didn’t really notice the days passing because I was so focused on revision. I vowed to myself I wouldn’t let those last ten days go by without doing anything so I’ve been revisiting old haunts on Sydney, finding new places I still hadn’t discovered, going on last minute brunch dates with friends (because I don’t know when I’ll see them again), and enjoying my last week of being an honorary Sydneysider. A small part of me will be sad to leave because I’ve had such a fab time here, but more of me is excited to be heading home because it’s been so long (and also it’s winter here and I’m craving English summer, even if it’s not always that hot). I think one of the reasons I’m not too sad to be leaving is because I have no regrets (sorry about the cheese). I’ve been keeping a list of all the things I’ve done this year that I wouldn’t have been able to do if I hadn’t done a year abroad, and I’ve reached over 50 (which means I’ve averaged one new experience a week, which isn’t too shabby). Some of the ones that spring to mind are swimming with turtles, sleeping in a swag under the Milky Way, taking part in a traditional Fijian kava drinking ceremony, hangliding in Queenstown, and experienced a Christmas where temperatures hit 30C. In other words, I’ve packed it all in and I’m ready to go home and relax and have a little less adventure in my life (although I say that now and I know in a month or two I’ll be craving the adventure life again). This isn’t my last blog post, but it is the last one I’ll be posting from my little college bedroom in Sydney. The fact that it’s my time to head home means that it’s a matter of weeks before the next cohort of exchange students fly out to various corners of the globe to start their adventure of a lifetime. So to those people: say yes to whatever you can; don’t be surprised if there are bumps along the road because some days can be harder than others, but hopefully those days will be short; and have the best time because I swear a year abroad year is shorter than any other academic year. Good luck! 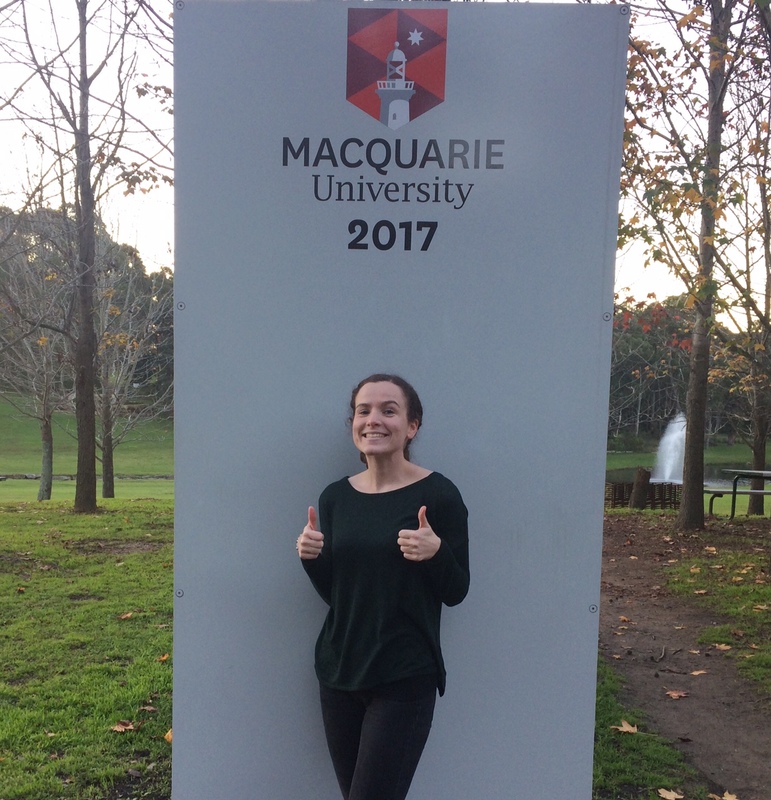 But for me it’s goodbye Macquarie University, goodbye Sydney, and goodbye Australia.